This spring is all about bright lips! If you are afraid of color, this is the time to get over that fear. Prepare to see vibrant corals, happy reds, girly pinks, and electrifying oranges. That pop of color will be the finishing touch to set off an outfit. There are two colors that you absolutely got to have. Those colors are hot pink and orange. Hot pink was around last spring, but orange is new to scene. Expect to see a ton of it. To show that color is not all that scary check me out in the two suggested colors! Hot pink is always a fun go to color for the spring. It goes with so many colors and can make a basic color like black really pop as you can see above. I am wearing MAC Supreme Sheen Lipstick. The color is called “Insanely It”. What I love about the entire Supreme Sheen line is that it feels like a gloss, but has the color impact of a lipstick. Orange was huge in the 1980s and early 1990s. It took some time to truly resurrect the color, but this season I think it is here to stay. 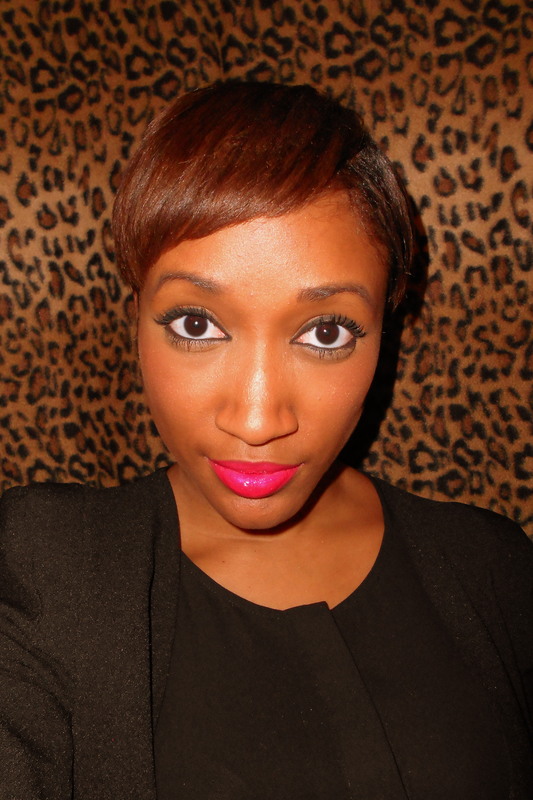 I am wearing L’Oreal Colour Riche Caresse Stick. The color is called “Fiery Veil”. 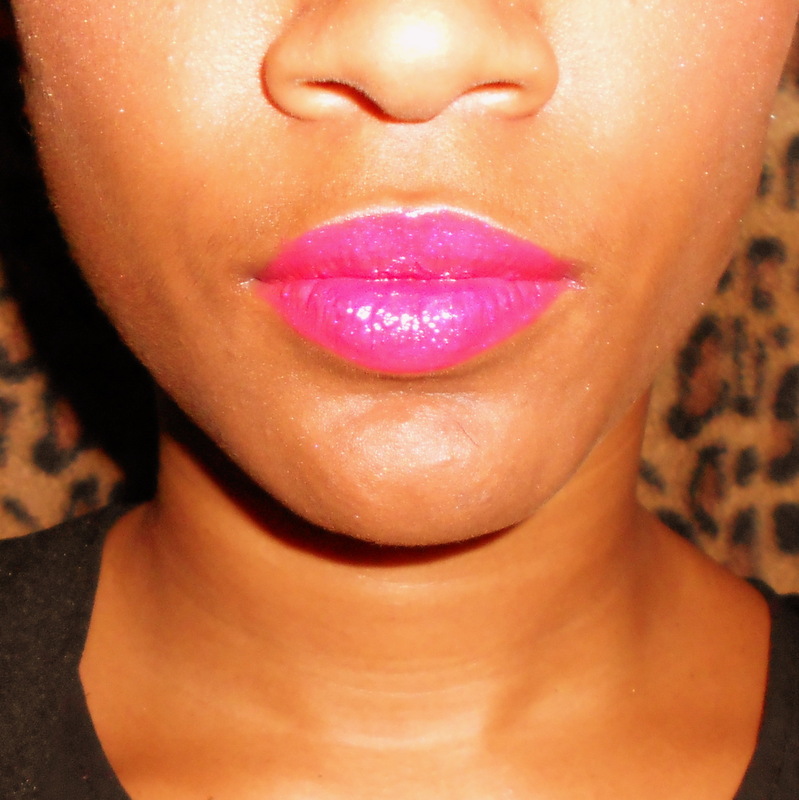 It initially goes on very sheer, so to give it that extra pop of color I used Prestige Lip Liner in the color “Poppy”. First I lined my lips then I colored them in with the liner. After this step I applied the the actual lip color on top. 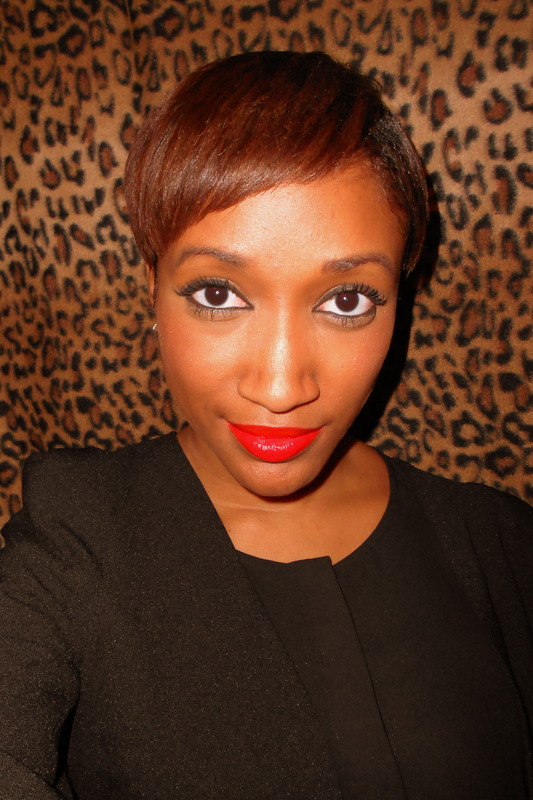 The end result was the fiery orange lip pictured above. This is a trick that can always be used if you want to give sheer color a little pop. Just make sure you choose a lip liner that is a similar color to the sheer color you intend on using! Everyone has different skin tones and complexions, so what works for me may not work for you. My suggestion is to go to your favorite makeup counter and try on the colors. You cannot do this in the makeup aisle at a drug store. With the assistance of a makeup expert and your good eye you will definitely find an orange and hot pink that work for you! P.S. I suggest the MAC counter because their lip colors are amazing! Check back for your affordable beauty and fashion fix!